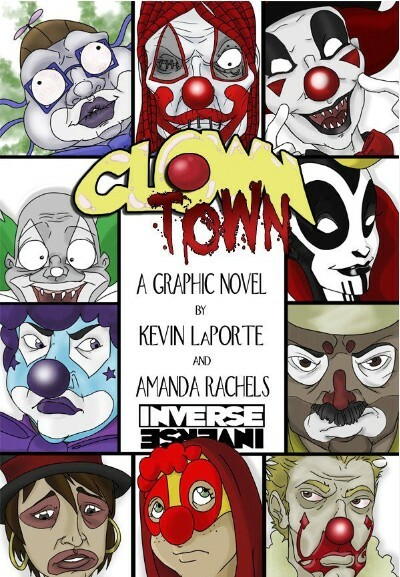 I was fortunate to be able to speak with Kevin LaPorte and Amanda Rachels, the creative team behind Clown Town. They will be at Megacon, so be sure to stop by and say “Hello” and pick up their books and some of Amanda’s artwork. Andra Walt: What are your backgrounds, ie: schooling, families, interests, etc. 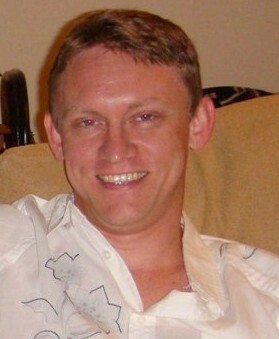 Kevin LaPorte: I’m a lifelong Mobilian, raised by a single mom with two younger brothers. In high school, I was a geek prototype – chess club, valedictorian, math competitions and lots and lots of comics. College brought me a Master’s degree in Psychology and a career in mental health that’s included sixteen years helping others at a state psychiatric hospital. not much more here than woods, water, and a magnolia tree or two, but I adore it. Growing up, I had to keep up with my older cousins and do everything that they did, so when they got into comic books so did I. I’ve been obsessed them since I was five. My dad got so sick of the weekly drive to the nearest shop an hour away that he opened his own comic shop when I was 13. Since then, I’ve worked either on comics or near them almost constantly, and couldn’t be happier. 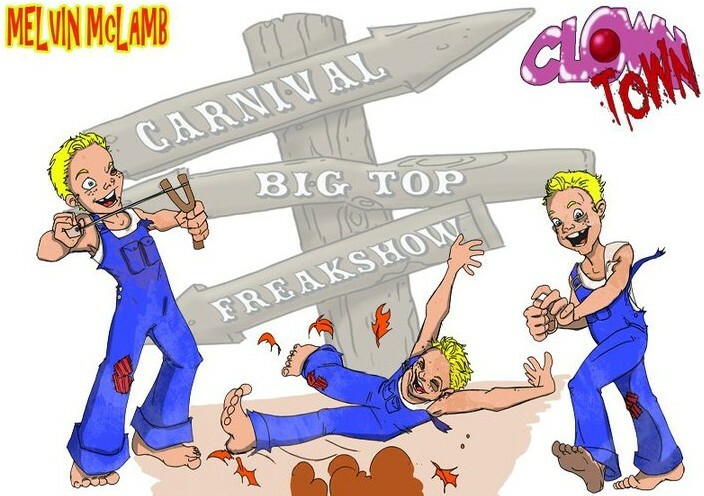 AW: How did the idea of Clown Town come up? KL: Amanda and I needed a concept to enter the 2010 Small Press Idol competition. We knew we wanted to wrap our story around a core theme, addressing the tragedy of child abuse, and brainstormed to come up with avenging spirits for child victims. Our epiphany was CLOWNS! They’re supposed to be entertainment for children but too often are symbols of abject fear to adults. 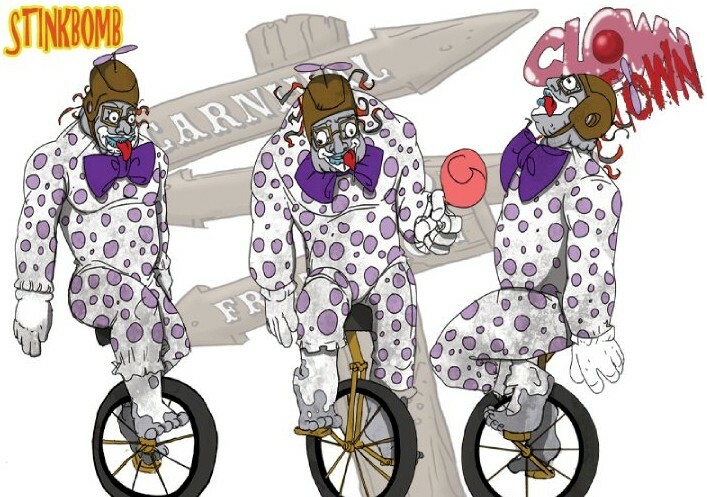 The killer clowns we developed protected children from offending adults and in some pretty brutal ways. 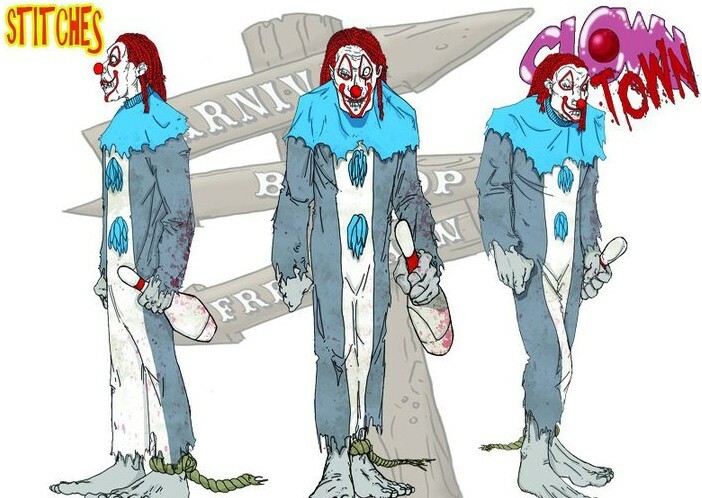 AW: How many issues will there be of Clown Town? Is this a min-series or an on-going book? AW: Kevin, with your experience in the psychological/psychiatric field, does this contribute to any of the stories in Clown Town? KL: Only insomuch as my clinical experience has exposed me to the long-term effects of child abuse, in its many forms, on the internal make-up of adults. Those scars linger and, untreated, can affect choices and emotions and behavior throughout life. 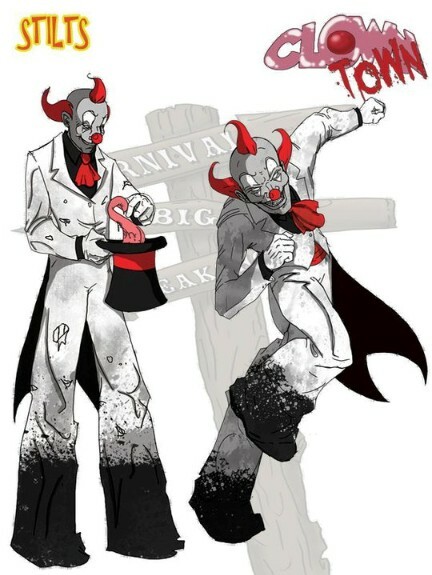 This fact is definitely a core theme of Clown Town and is one of the underpinnings of the clowns, the circus, and the origins of them all. AW: Do you find it hard to get recognized by the big boys (DC and/or Marvel) because you are an “Indy” publisher? KL: We’ve gotten some really nice remarks and feedback from some creators for the big two, but we live in the nursery of the comics publishing ward. We’ve been at this for a few years, and we’ve come a long way, but we’re still learning. Recognition by the powers that be is still a bit down the road, I think. AR: I’m enjoying my Indy status. I don’t think that makes it any harder to be noticed. I still have a lot to learn, and self-publishing has been the best way to get that experience. I’ve been getting advice and encouragement from some creators who work for the big companies and I’m thrilled with that! AW: Have you tried to get your book in Diamond Distributors? How has that been? AW: How is your book marketed, and how may the public purchase your book? KL: We market through convention appearances, social media (Facebook, Twitter and message boards). We also have our own website at http://inversepress.com, which is also where our online storefront can be accessed and our books purchased. 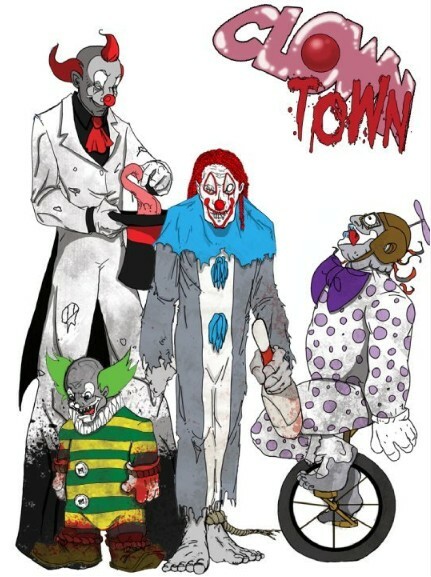 We’ve had some good fortune fundraising and marketing Clown Town on http://kickstarter.com as well. AW: Explain how Kickstarter works, and how that has helped get you books published. 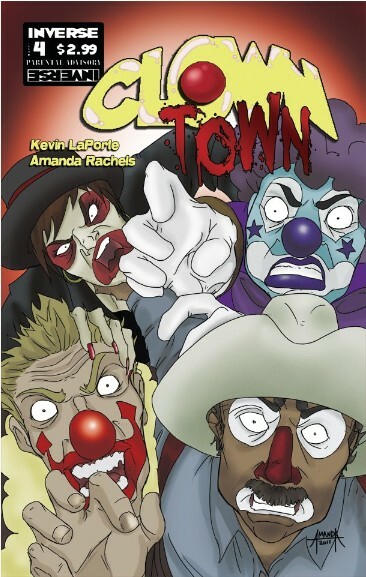 KL: A carefully planned and executed Kickstarter campaign has funded our print runs for all three issues of Clown Town that we’ve self-published. It’s a matter of identifying rewards that make potential donors feel a part of the publication process, making them accessible at a fair price-point and then producing them in a timely manner, along with the comic itself. Self-publishing is expensive and produces little income, particularly early in the career of comic creators, so Kickstarter offsets both ends of the issue to make self-publishing do-able while simultaneously introducing your work to a new audience more likely to continue following you. AW: What is ‘Blind Eye’? KL: The Blind Eye was our first long-form comic work. 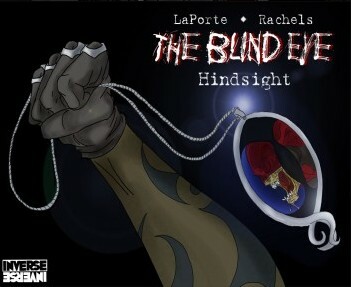 It is a web comic that ran through much of 2010 and has been collected into a print edition that can be purchased through our online store, or viewed for free at http://blindeyecomic.com. It’s a superhero, noir tale of a post-Katrina New Orleans type of environment, in which the storm washed in an unseen evil – a Lovecraftian god of the deeps that lurks below the floodwaters and corrupts the entire city, leaving only a few brave, costumed souls to protect the survivors. We learned a ton about comics producing and publishing through this story, much of it the HARD WAY…but we’re very proud of it to this day. 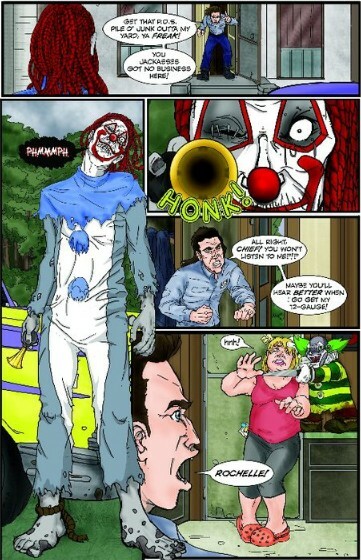 AW: Amanda, some of your work has appeared in The Gathering by Grayhaven Comics. How did that come about? AR: Over the years, I’ve spent a lot of time on Brian Michael Bendis’ message board and a lot of the board members are creative folks. Andrew Goletz had the great idea to get the artists and writers from that forum and others together to produce short stories for what became The Gathering Anthology. It focuses on one theme (hope, romance, horror, ect. ), and the creative teams get anywhere from 2 to 6 pages to work with. Andrew invited myself and Kevin to participate in issue #2 and we have been frequent contributors ever since. I’ve been able to work with Kevin and other writers on the Hope, Horror, Romance, and Sci-Fi issues, and have started doing some covers for them! Andrew has even gotten some pro contributors like Gail Simone and Sterling Gates to help out and The Gathering has become an ongoing series. 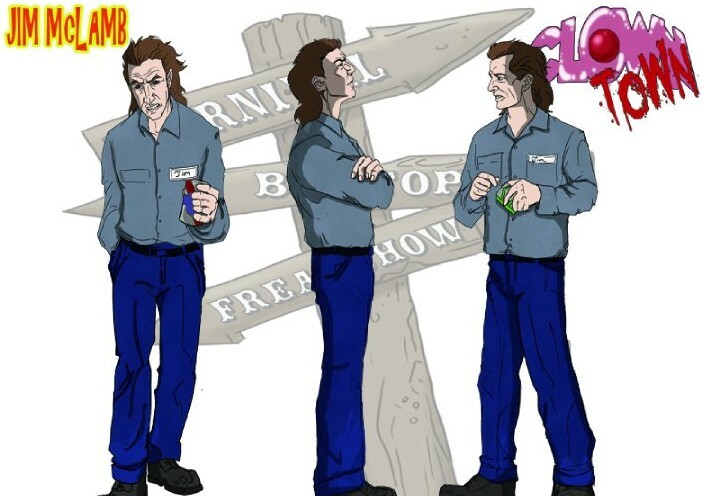 They’ve branched out a bit and are also featuring webcomics on the Grayhaven website. Kevin and I will have one starting in early February. It’s pretty wild. AW: Do you have other titles in the planning stages? Can you share any information about these? KL: There are a few projects in production right now. 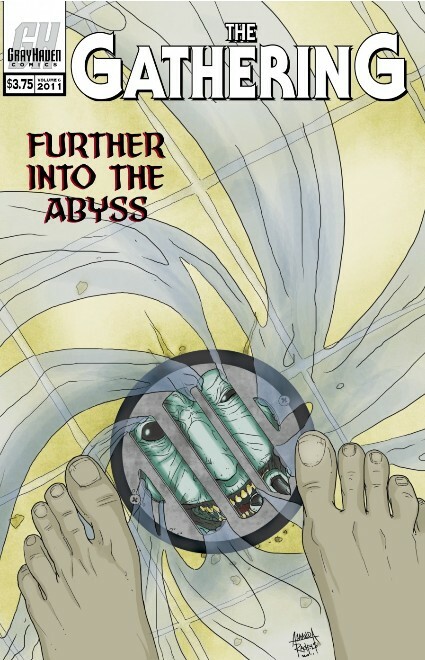 Amanda and I will be publishing a weekly web comic called Rail through Grayhaven Comics (publishers of The Gathering Anthology) beginning the week of February 6 at: http://grayhavencomics.com. Think of Rail as, “It’s 1903, and teleporting hobos save the world from an incursion by alien evil!” I’m also working on a print limited series with artist, Nathan Smith – I can’t release any details on this one yet, but, in general, it’s a tale of Armageddon occurring in a Steampunk version of the Old West! AW: Have you found that “social networking” has helped get the word out? If so, how? 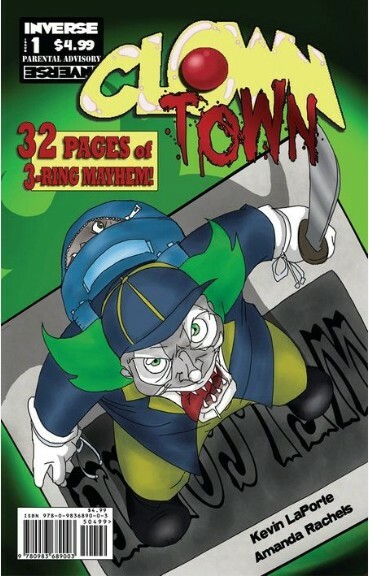 Clown Town community, with around 1600 fans who carried us to 2nd place in the Small Press Idol competition, and have sustained us throughout the 2-year process of publishing the full story. Simply updating regularly with previews of art and tidbits on what’s coming soon with the project goes a long way to keeping fans interested and invested. AR: We are always on Facebook. 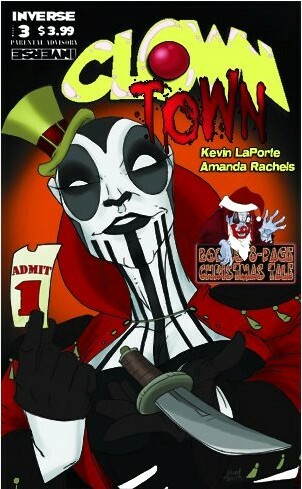 That has been the best way to market Clown Town and our other work. 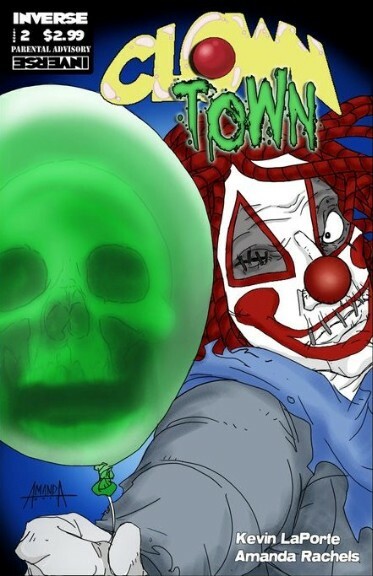 Most of our supporters have been with us on the Clown Town fan page since the very beginning- everyone spreading the word and telling their friends about us is how the project really took off in the Small Press Idol Competition. AW: Where are you based, and is there a large ‘comic community’ in your area? 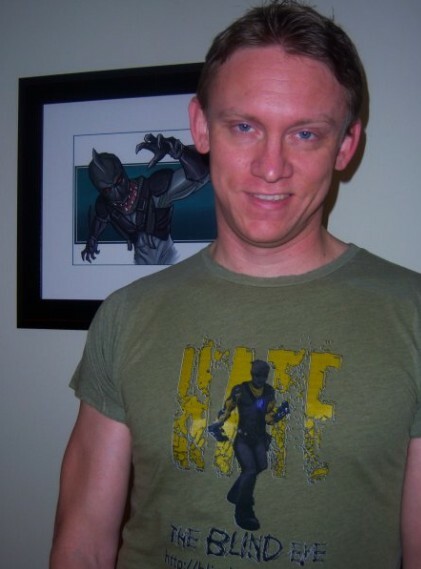 KL: We’re based in/near Mobile, Alabama, and there is almost NO comic community here. The only comic seller runs his operation out of a dusty, sweaty flea market booth and is the stereotypical “comic shop owner”. NOT conducive to an active comic community. We are aware of one other, active comic creator locally, and we’re working to involve some other talented artists in projects to expand on that. AR: We’re based out of Mobile, AL where there is next to nothing as far as a comic community. Most of my contact with anyone remotely local has been online. We’re all so scattered. Thank goodness for Facebook! AW: Have you been able to get your books in any of your local comic shops? KL: Oh, if only there WERE a local shop. Short answer: No. AR: I wish we had a local comic shop. Unfortunately we don’t, so, no. AW: Have you found help from other Indy publishers? KL: Yes, particularly in the forms of cross-promotion and feedback/advice. Cross-sharing of this type of help is common at conventions and one of the prime benefits of attending those events. AR: We’ve met quite a few others who are doing exactly what we are through conventions, so it’s been great to have other Indy publishers to talk to and learn from. AW: You are going to be at Megacon, but what other conventions are you looking at attending in 2012? KL: The only other convention we’ve finalized at this time is the New Orleans Comic Con on Jan. 28-29. There will be others, but we simply haven’t firmed those dates up yet. AR: We’ll be at Wizard World New Orleans January 28-29, but we are still trying to get our schedule ironed out for the rest of the year. AW: Where will people be able to find you at Megacon? KL: We’ll be at table Yellow 9 in Artist Alley at MegaCon! AW: Who do you look up to in the Comic industry, and would like to emulate? 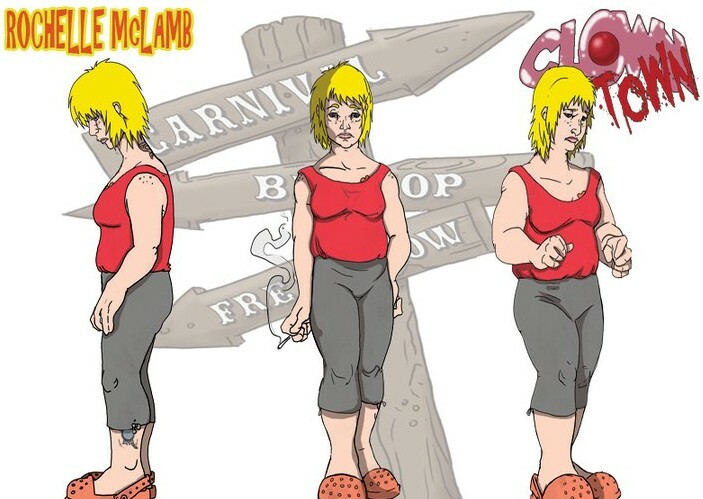 KL: Terry Moore. He consistently produces story and art at the highest level of the medium and handles every aspect of the production and the business himself, without a middle man (or overlord) publisher to meddle in his work. And he makes a living doing it. The ultimate indie role model. AR: First off, I agree with every part of Kevin’s answer. Terry Moore is the hardest working man in comics and I totally admire that. There are so many artists with unique styles that just inspire me to work harder and be better…Nicola Scott, Leinil Yu, JG Jones…I just zone out and ooooooh over their work. AW: What do you think about the DC Reboot, and what are some of your favorite books? Also, what are some of your favorite Marvel books? KL: The New 52 has been fun for the most part. Batman is reaching new heights under Scott Snyder, and I’ll buy anything drawn by Doug Mahnke, so Green Lantern is a visual candy store every month. But I miss Secret Six. Badly!. That’s really my only gripe with the reboot. As for Marvel, Tony Stark has been my favorite character in comics since I was ten years old, and that’s no different now. Matt Fraction has restored him as the true star of Iron Man, rather than the armor, and it’s the best book at Marvel, in my opinion. Jason Aaron’s Wolverine and the X-Men is weird and fun and a plethora of characterization on every single page. And add my name to the list of fanboys lining up the accolades for Mark Waids’ Daredevil. Cutting-edge comics from a pair of fellow native Alabamians right there. AR: I’ve enjoyed everything I’ve had a chance to read from the reboot. I love Batman and Detective Comics. From Marvel my favorite has to be Uncanny X-Force. AW: Kevin do you do the writing and Amanda the art, or do you work together on the story and art? KL: We work together on both aspects. We brainstorm the stories and actually work the layouts together, sometimes from MY thumbnails – it’s true. I’ve sketched out some of the pages before Amanda takes them and makes them into ACTUAL art. Our synergy now is such that we can do a lot of it with far fewer words than in the past. It’s a hell of a fulfilling process, and it’s really shining through in our satisfaction with more recent projects. Wait ‘til you see what we’re up to next. AR: It’s a team effort from start to finish for us. I’d go so far as to say we’ve developed some kind of creative telepathy! Well, almost- I still have to redraw some things here and there. AW: What forms of Media are you using to get noticed? KL: Social media, message boards, the occasional podcast, our own websites and local newspaper articles when the opportunity arises. AR: I started with message boards and a few art forums. Deviantart is a nice place to show off your work and interact with people who are doing the same type of thing. I’ve had a few recent requests for custom art in novels so that’s been a new and entertaining side project for me. We also have an app in the works which we’re really looking forward to utilizing in our promotional efforts. AW: What is the ultimate goal for Inverse Press? KL: Simply put, to be a self-sustaining independent comics publisher. We don’t have to carry an extensive line of comics to meet our goals, but we hope to successfully publish the stories that we develop and feel deserve to be seen. We’re optimistic but also realistic. AR: I’m usually so engrossed in whatever page is in front of me, I have a hard time focusing on an ultimate long-term goal. I just want us to continue to grow and develop as creators so we can keep telling stories that will entertain our audience. AW: Do you purchase any books through a digital site? If so, which do you buy digitally? KL: I have not yet purchased any digital comics. I’m not opposed to it, but, in my opinion, phones are simply too small for fully appreciating comics, and (full disclosure) I don’t have a tablet device more suited to digital comic presentation. AW: How do you think the digital market will affect the comic community and the Local Comic Stores? Thank you Kevin and Amanda! 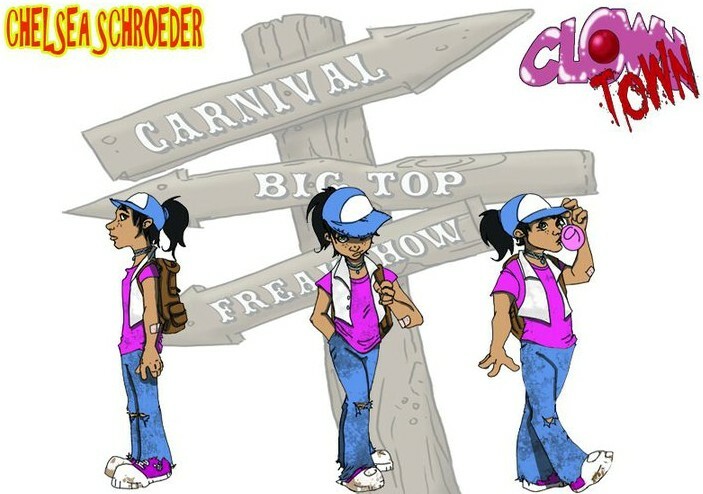 Be sure to check them out at MegaCon and BUY Clown Town, It’s fantastic! 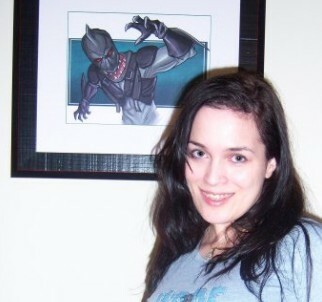 Take a look at this New York Comic Con 2011 video footage from InvestComics that features Amanda’s “The Gathering” comic!